We’ve all seen commercials and ads featuring videos and photos of beautiful palm trees, blue water and white sand beaches, but how much will a trip to Hawaii actually cost if you’d want to go alone or with your family ? As for most of our articles, there isn’t a one size fits all answer. Instead, we’ll offer you a general idea on what budget you’ll have to work with, to afford this vacation. Whether you want to create your own tours and visit everything alone, or want to go on guided tours. Whether you eat on the cheap or spend more for dinners. How many days you plan to spend in your vacation. Whether you opt for budged, mid-range or luxury hotels. How far you’ll be flying. As an example, East Coast or Mid-west flights are more expensive because they are farther away, so the plane will use more fuel. If you plan to go to Hawaii off-season, it will be cheaper, while if you opt for a vacation in the middle of the summer, the price will be noticeably more expensive. There are, of course, a lot of other factors that could influence the final cost of your trip, but these are the most important ones. The numbers below represent general prices that could vary from island to island, city to city, hotel to hotel, so be sure to check everything thoroughly before booking your vacation. The cost of the accommodation will vary mostly based on what type of property you opt for, budget to luxury. You can pay as little as $150 per night, per person, to as much as $525 and more. For first quarter 2015, the statewide Hawaii hotel rate was $252 per night. If you don’t have a problem with booking a room without an ocean view, then you can get a nice hotel or condo for way less than the average price. A luxury Hawaii vacation will cost you a lot more, for obvious reasons. Don’t forget to add taxes to your hotel price, which are at around 13.4%. That means that an average hotel room rate will be $252 + $34 in taxes, which means a total of $286. Looking For A More Extravagant Place ? Why Not Travel To Dubai ? If you don`t want to rely on taxi drivers or public means of transportation, then the best idea is to rent a car once you reach your destination. Some islands like Lanai or Waikiki won`t require you to get a car, but for most of the other destinations it is recommended that you rent a vehicle. Although the rates will vary depending on the car you opt for and the way in which you choose to book one, the general cost will be of around $40 per day, for any economy or mid-sized car. Another factor that greatly influences the final cost of your trip is the way in which you choose to eat. As a guideline, spending $70 per day per person is doable and it won’t mean skipping meals or overeating. This means you should spend around $15 at breakfast, $15 for lunch and as much as $40 for dinner. This isn’t a fixed price, which means you could end up spending as much as $25 for breakfast or lunch in more expensive Hawaii resorts. To get a general idea of what you’ll spend on your Hawaii vacation, just add up each of the prices we have given you and then multiply by the number of people that will go with you on your vacation. Which means that in the end you’ll spend around $5,101 for this particular vacation. Other activities like helicopter tous, snorkeling excursions or guided hikes. Before spending too much on activities, be sure to check free or less expensive activities available on the island. Usually, Hawaii has many of those every week. Some resorts will charge a resort or parking fee, so be sure to check this before picking your accommodation. Costs to refuel the rental car at need. Be prepaired to spend more on gas, because the prices are slightly higher in Hawaii than in the US Mainland. Should The Average Working Joe Go To Hawaii in a Vacation ? 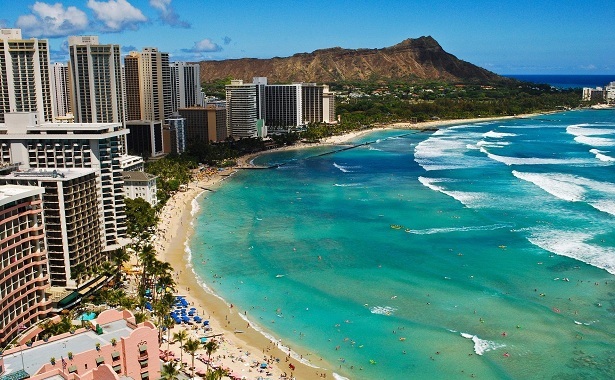 In general, a trip to Hawaii can be expensive, but with proper planning, you could greatly decrease the final price. That doesn`t mean that the costs will be unnoticeable, but they could be manageable. Be sure you have the necessary budget, before booking the vacation. You probably won’t be able to go in such a trip every year, but you should try to go at least once in your life. You won’t regret it. LOVE, LOVE LOVE this article. Very informative and helpful. Thank you! How Much Do Social Signals Cost ? How Much Would A Real Working Batmobile Cost ?